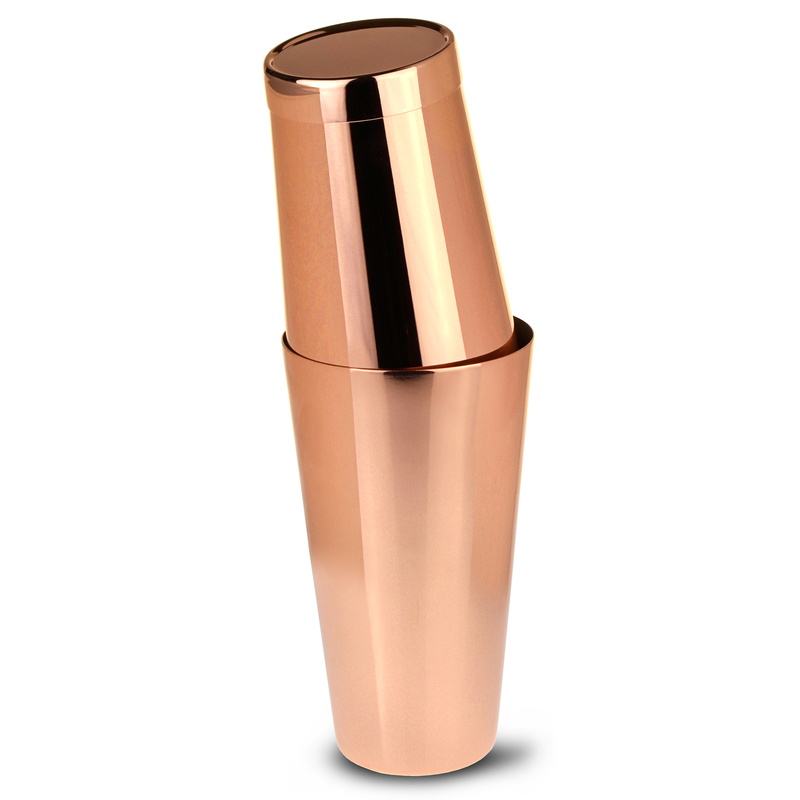 Following the new flair bartending trend sweeping bars, the Copper Tin on Tin Boston Shaker is the stylish choice. 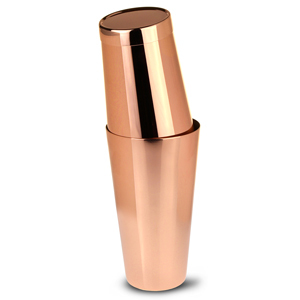 With a unique tin on tin design finished in copper, this Boston cocktail shaker eliminates the dangers of broken glass. Ideal for mixing and then serving a cocktail, this cocktail shaker set is the perfect solution for quick drinks service.